Mumé Yeshe Tsomo (Tib. མུ་མེད་ཡེ་ཤེས་མཚོ་མོ་, Wyl. mu med ye shes mtsho mo) (b. 1966) or Jetsünma Muntso Rinpoche is the niece of Khenpo Jikme Phuntsok and is renowned as a reincarnation of Jetsün Mingyur Paldrön. 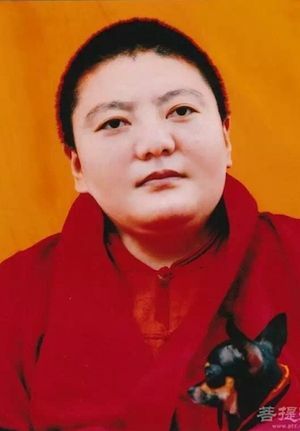 In 2004, she was elected as the leader of Larung Five Sciences Buddhist College by all the sangha there.